We got off the highway about 20 miles east of Halltown, Missouri. The Ozarks opened up and the rolls and curves of the land seemed almost Jurassic. In Halltown we stopped at a Flea Market and bought a few odds and ends, and then grabbed lunch at Steak and Shake in Carthage, Missouri, home to the Boots Motel, which today has been lovingly restored to it’s original historical beginnings. Kyle and I somehow lost most of 66 through Kansas, and I didn’t get to see much of it, which I came to regret in subsequent visits. 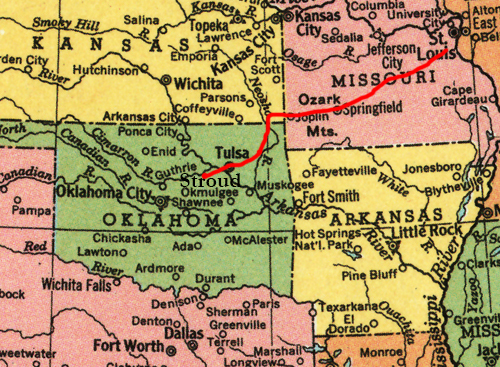 It’s not the most beautiful 12 miles of road, but it’s full of history, stories, and recalls the best aspects of simple living in the United States. 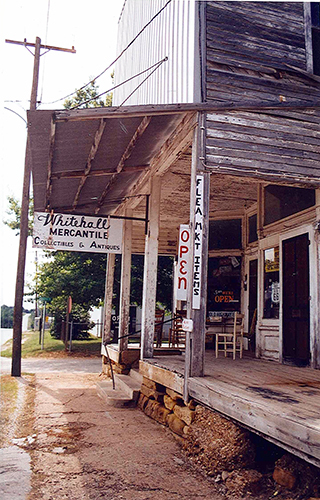 The Whitehall Mercantile in Halltown, Missouri, was where Kyle decided we needed a portable radio. Since our van didn’t have any type of radio, despite the fact that Kyle had purchased one to install, our AM-only portable was the one contact we had with the radio airwaves of the midwest. July 13, 2001. 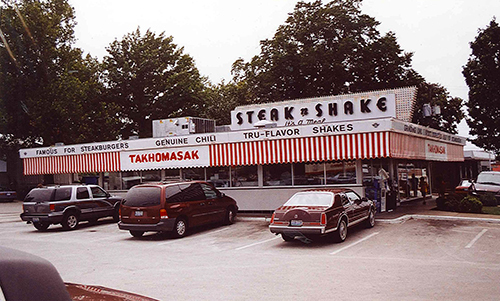 Steak and Shake—Done in sight, it must be right! This mainly midwestern burger chain in Carthage, Missouri, was a treat for Kyle and I. The burgers tasted fresh and the chili hearty. Sadly, they have not made it to Philly yet. July 13, 2001. The rainbow bridge outside of Galena, Kansas. 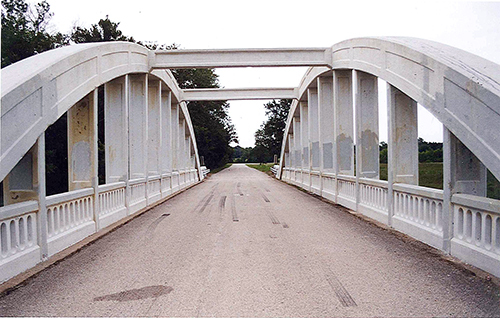 The form of this bridge is slowly eroding away from American highways and roads. This one was in the process of being restored. July 13, 2001.